hd00:57Luanda, Angola - 2011 - Shot of Angolan construction workers, in silhouette, pouring concrete into an unfinished column on a building site. The concrete mixer is lowered into shot. hd00:49Luanda, Angola - 2011 - Shot of Angolan construction workers, in silhouette, pouring concrete into an unfinished column on a building site. The concrete mixer is lowered into shot. hd00:36Tower crane at construction site on blue sky background. hd00:17Crane working in construction site. 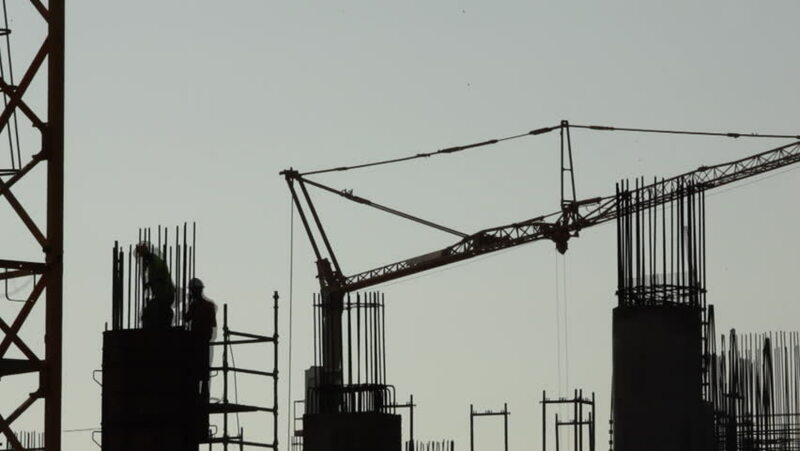 Time lapse silhouette crane working in construction site. 4k00:11Construction industry of Engineer Business Concept with worker standing and working on building from high ground and steel rod with crane at Construction site on blue sky and clouds background.